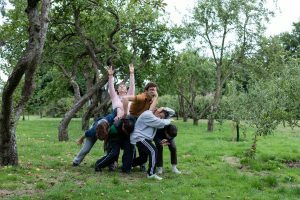 Find your Way, a new film in collaboration with Corali Dance Company, will be exhibited at Bethlem Gallery as part of ‘It’s How Well You Bounce’ group exhibition, between 2nd September – 28th October 2017. 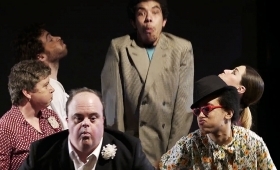 Corali is a leader in dance-performance created by artists with learning disabilities. 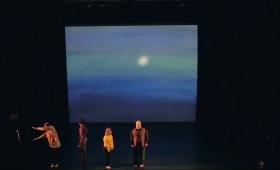 Their work is made through a process of artistic collaboration, and interrogates the relationship between dance and other art forms. 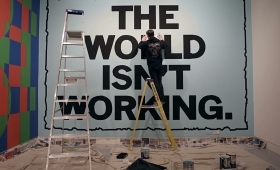 The exhibition explores our understanding of resilience, its relationship to the imagination and to artistic practice. Other contributors are: Jan Arden, Liz Atkin, Barrington, Dragon Cafe, Sarah Carpenter, David Gilbert & Lila Palmer & Rose M. Hall, Sara Haq, Matthew, Esther Maxwell-Orumbie, John McGill, Sue Morgan, Mr X, Max Reeves, Grayson Perry, RE:CREATE Psychiatry, Roy, Sara Shamsavari, Maureen Scott, Martin Wade, Peter White, the vacuum cleaner and Xavier White.